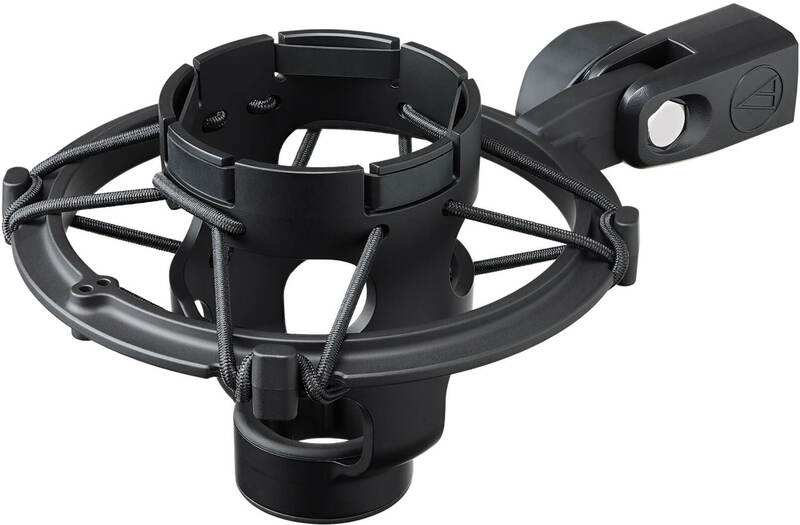 Audio-Technica has introduced a new shock mount, available in black (AT8449a) and silver (AT8449a/SV), for inclusion with select 40 Series side-address microphones, effective immediately. The new shock mount features improved rubber band architecture for long-lasting operation, and a robust cradle design for easy microphone insertion and a secure, molded fit that hugs the body of the microphone. The new shock mounts are colored to match select 40 Series microphones: The black AT8449a shock mount is included with AT4033a, AT4040, AT4050 and AT4050ST; the silver AT8449a/SV is included with AT4047/SV, AT4047MP and AT4080.